PHOENIX (AP) — A helicopter crash just north of Phoenix killed at least three people on Sunday afternoon, including a child, and officials couldn't rule out the possibility of more victims. "I saw the helicopter flying in the air and that stuff that goes round, up, the rotors were coming apart and then I said, 'OK something wrong is gonna happen,'" witness Nicoleta Nork told KTVK-TV. "And I just saw it rolling, rolling and boom, then big smoke and yeah, terrible." Authorities have specifically identified three victims, said Deputy Lindsey Smith, a spokeswoman for the Maricopa County Sheriff's Office. 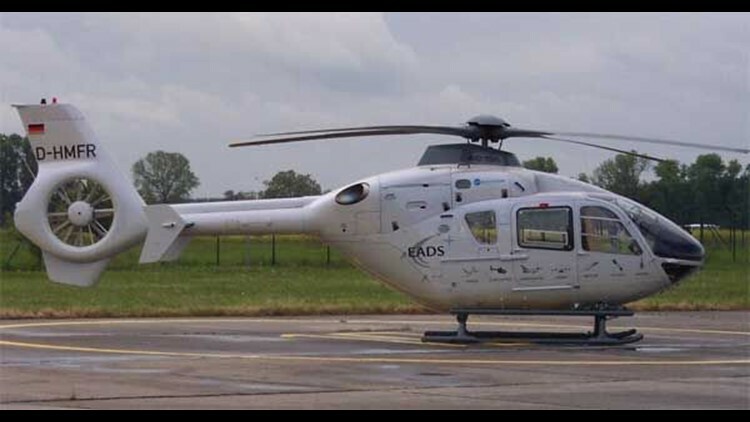 But since the Eurocopter EC135 can hold six people, officials are looking into whether there were additional victims. "It's a pretty horrific crash," she said. "It's just obliterated." The helicopter was registered to Services Group of America in Scottsdale, Ariz., a large privately held foodservice and real estate firm. A company spokesman said he didn't immediately have any information about the crash.